The information provided is brought to you by WinmoEdge, which will give you the ability to contact key decision makers, monitor company spending, and stay up to date on changes in leadership. Request a trial today. Marketers are on a mission to make advertising and promotional campaigns more accountable, productive, and relevant to their brand objectives. With that mission in mind, it’s no surprise that more and more national brands are bringing marketing management in-house. We already know that more companies are bringing agency work in-house — according to a study done by the In-House Agency Forum (IHAF) and Forrester Research, 64% of corporate America have in-house agencies today versus 42% just 10 years ago. Now, companies are making a similar transition with digital marketing — specifically, programmatic marketing. A 2017 survey by the ANA found 35% of brands have expanded their in-house programmatic media buying capabilities and limited the role of outside agencies, up from 14% in 2016. Two out of three marketers are planning to bring their programmatic efforts in-house by 2022, and the other third will do so partially. Studies show 38% of businesses mentioned cost efficiency as an incentive to switch in-house. A calculation shows that a company spending $2 million annually on digital advertising can save a quarter of that by cutting out the middleman. At the end of the day, programmatic marketing accounts for more than 80% of digital ad spending nationally, which means that paying attention to these trends now is just good business. Keep reading for which brands have already made the jump, plus insights and information on each brand’s major decision makers. Moving programmatic capabilities in-house requires resources. What companies have resources? Major national advertisers. Below, you’ll find seven national advertisers (and the decision makers — plus links to their direct contact information! — at each brand) who have brought at least some of their programmatic in-house. We recommend using this information to prospect other companies that have the potential and capacity to bring this important aspect of digital marketing, too. About O’Dowd: With a background in programmatic, Kathy O’Dowd actually moved from a programmatic Adtech platform, VivaKi (now Precision). She’s been with Netflix for just over five years now and has really worked to flesh out the company’s programmatic strategy. Based on insights from our partner Crystal Knows, O’Dowd responds to energy and enthusiasm. For those looking to reach out, be sure to keep it friendly, casual and focused on the future. As we reported in 2017, CMO Jennifer Betka left StubHub and was replaced by Olivier Ropars. We know that a new CMO is a sign that a creative, media and potentially digital review is imminent, so while StubHub has established new relationships with media buying and planning, it’s worth noting that Ropars could decide to stack the deck with his own picks. About Prado: With a background in Programmatic, Prado just recently began at StubHub in August of 2018 after making the move from Electronic Arts. Working in various positions has allowed Prado to develop the skill set needed to deliver exceptional customer support. WinmoEdge reported in recent months that Kellogg has released two new campaigns in the midst of their increased digital spend, with a particular focus on new channels. Deanie Elsner, President of the snacks business unit, said: “We went from spending very little on digital platforms to now spending 60% to 70% of our overall marketing budget.” According to our data, Kellogg spent $11.5 million by May of this year on digital advertising, with 95% of ads placed direct and through Amazon. They don’t have a specific top spending period, so there’s no bad time to get in the game. About Hoffman: Working at Kellogg for a little over 7.5 years, Hoffman ensures technologies and processes are aligned to boost growth in the marketplace. Hoffman has past experience in driving cultural changes in large organizations, such as his 14 years at General Motors. Crystal Knows reported Hoffman values collaborative and supportive interactions when being reached out to, and approaching him in a casual and enthusiastic manner is best. About Roy: Previously working in Digital Revenue at Comcast, Roy has taken Sprint by storm and is responsible for charging a digital transformation across multiple functions. His role is focused on strategies that fuel growth, achieve operational goals, and address significant opportunities for cost savings. According to our partner Crystal Knows, Roy tends to be fast-paced, goal-oriented, direct and persuasive. When reaching out, make sure to challenge ideas and assert yourself in a casual manner. About Salpekar: The Digital VP has been with the company for three years. Prior to joining Unilever, Salpekar spent three years at Amazon. Our CrystalKnows insights suggest that those reaching out to Salpekar should be warm, ask questions, speak directly, focus on results and offer to help. 6. Procter & Gamble Co. The world’s biggest ad spender grew in organic sales more than 2 percent while increasing media spending simply because of the decision to slash agency production fees and bring work in-house. According to our WinmoEdge team, P&G is solely cutting its agency costs in favor of better ROI and its marketing spend and operating expenses will continue to rise. An insider tip: historically, P&G’s spend has been higher during the second half of the year (H2). YTD digital display spend is north of $90.3 million. 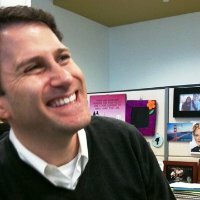 About Stimmel: Stimmel began at P&G as a Manager and over 7.5 years has held 5 different positions in the company. He is highly experienced in leading teams from initial strategy to customer delivery. Our partner Crystal Knows suggests being bold and showing personality in your approach with Stimmel. Keep it friendly and energetic, and don’t lose your optimism throughout the process. Intel has had a year of new hires, which means change and opportunity. With an initial goal to reach 30% revenue in marketing by 2020, Intel is now expecting to meet this goal by 2019 — which means that they’ve pushed the gas. For those looking to reach out, keep in mind that the company has been shifting more to digital mediums as of late, suggesting they’re going for a younger skew (millennials and Gen-Z). Their top spending periods are usually Q4-Q2, but you should also keep an eye on new products. About Lipsey: According to his Linkedin, David Lipsey has been with Intel for 23 years, making him a true expert and historian on the Intel brand. When reaching out, keep things high energy, big-thinking focused, and of course, be sure to know your stuff. 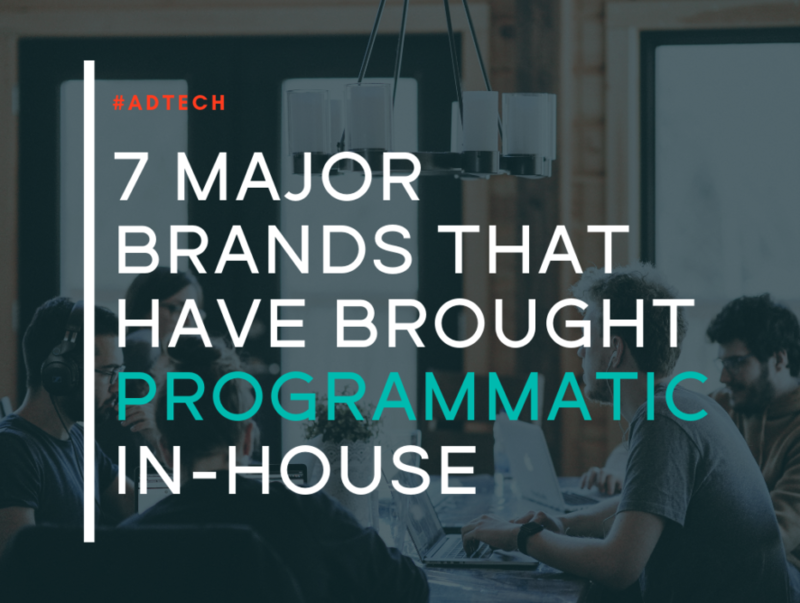 Now that you’ve got brands, names, and insights about where programmatic is headed, it’s time to hit the ground running. And, pro tip: WinmoEdge is tracking and reporting this kind of invaluable intel DAILY. If you’re not following, you should be! Request your trial today. Anna Crochet is the Junior Content Specialist at List Partners, supporting Winmo and associated brands.